Essays on the memory and commemoration of the Irish Famine, on James Connolly’s and James Joyce’s parallel explorations of history and temporality, and on the figure of the ruin in Irish culture and visual art. Irish Times sketches an alternative conception of historical time. It argues that ways of living that are recalcitrant to capitalist logic, and therefore targeted for destruction, are not backward remainders of outmoded traditions, but are themselves adaptations of older formations that responded to earlier waves of modernization. Modernity does not replace tradition, nor tradition lag behind modernity, but each emerges always in differential relation to its counterpart. Irish culture has been deeply informed by this sense of layered time. In essays on the memory and commemoration of the Famine, on James Connolly’s and James Joyce’s parallel explorations of history and temporality, and on the figure of the ruin in Irish culture and visual art, David Lloyd analyzes the persistence of the non-modern in Irish culture, showing it to be a resource for cultural invention rather than a drag on progress and modernization. 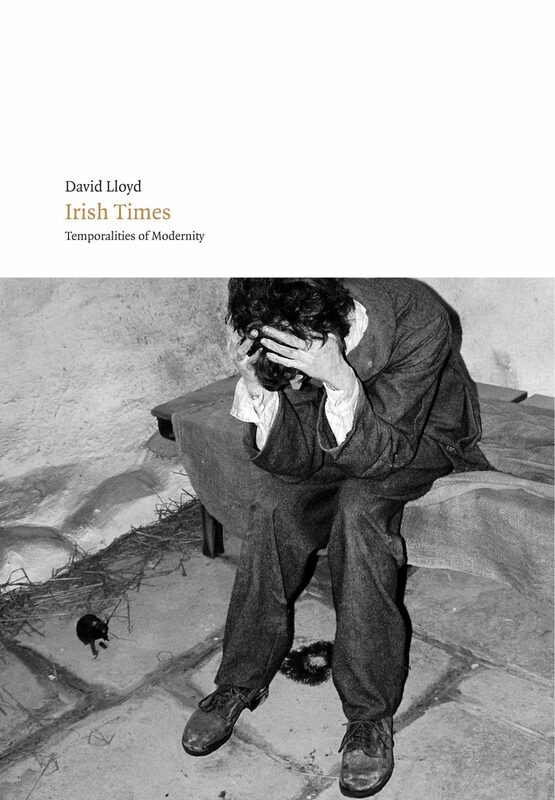 David Lloyd, Professor of English at the University of Southern California, is the author of Nationalism and Minor Literature (University of California Press, 1987), Anomalous States (Duke, 1993, 2009), and Ireland after History (Field Day, 2000). He has co-published several other volumes, including (with Abdul JanMohamed) The Nature and Context of Minority Discourse (Oxford, 1991), (with Paul Thomas) Culture and State (Routledge, 1997), and (with Lisa Lowe) The Politics of Culture in the Shadow of Capital (Duke, 1997).